When it comes to top boxes and hard luggage in general, Givi is the brand to have. 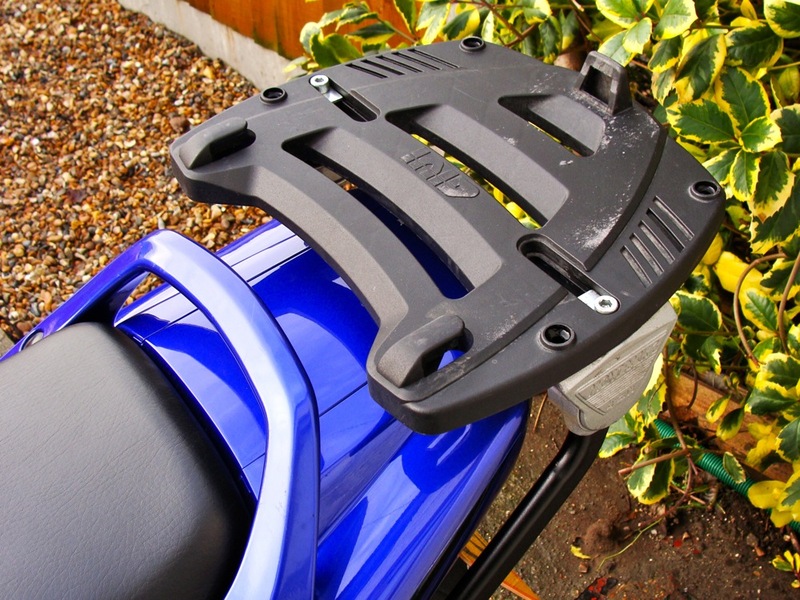 Givi have two levels of products the basic Monolock range and the better Monokey range. The latter are higher spec’d to carry more weight, for higher speeds and more weather proof. To fit a top box, I first have to fit some a rack to the bike, which consists of some motorcycle model specific arms and a universal mounting plate. For the Fazer FZS600 this is the Givi 340F rack and the M3 plate (for Monokey boxes). This pair normally sets you back about £95-100 in the UK, however I was able to find a shop on ebay.it that could post the pair (brand new) from Italy for about £60 – bargain. You maybe able to source one second hand, but finding one in good nick with all the bolts and fastenings is not easy. And note, slightly different bolts are required for the early ’98-99 Fazer to the later ’00-03 FZS600. Fitting the rack is relatively straight forward, but you do have to remove the rear fairing and pillion foot pegs. A copy of the instructions can be found here at the Givi website. Now I’ve got my rack fitted, I’m all set to clamp on any Givi Monokey top box. These are very common second hand and I managed to pick up an older Maxia 52ltr model off ebay for the princely sum of £35. Nice. 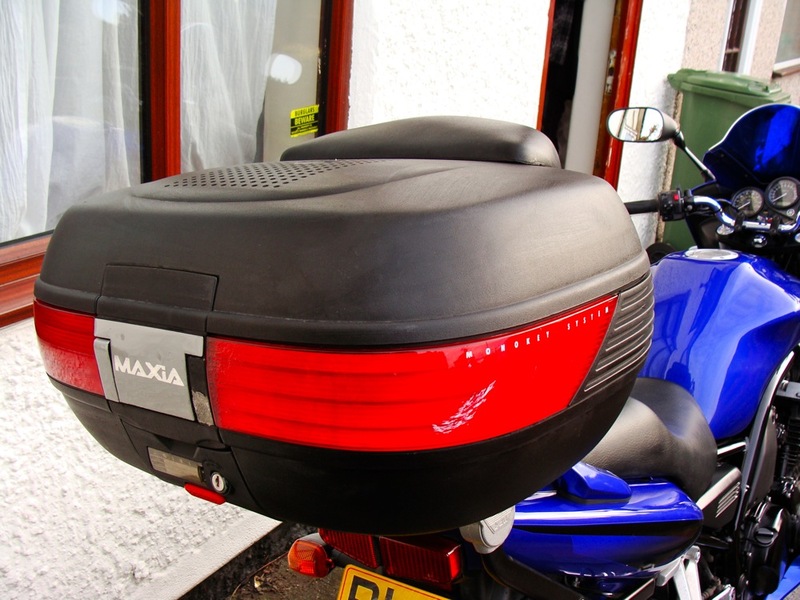 Top boxes may not be the most aesthetically pleasing accessories for your bike, but they a immensely practical and a no-brainer for anyone commuting. The 52ltr is overkill for just my chain and work bag, but when I’m giving my wife a lift pillion, it’s great for leaving helmets and leathers in. It comfortably fits two lids side by side. I am tempted to pick up another smaller top box, for when I’m riding alone to work. Find Fazer Givi 340F racks on ebay.